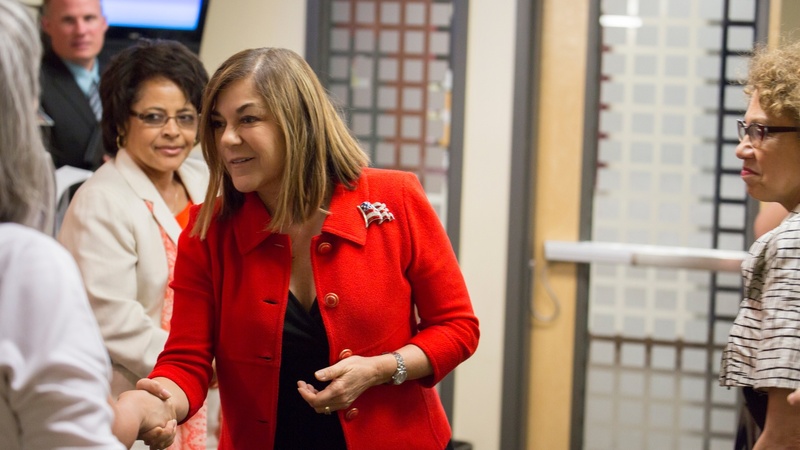 Today we start with a look at the sometimes colorful track record of U.S. Rep Loretta Sanchez. The Democrat from Orange County just announced she’s challenging California’s Attorney General in the race for U.S. Senator Barbara Boxer’s seat. Does she have a chance? Then, we look at next Tuesday’s election for the LAUSD school board, which pits the teachers’ unions against charter school advocates. Next, our weekly Friday film roundup is all about Mad Max and Pitch Perfect. And finally, Mexican director Everardo Gout discusses his new feature film Days of Grace, which comes out today.